First, wash and tenderize the pork. 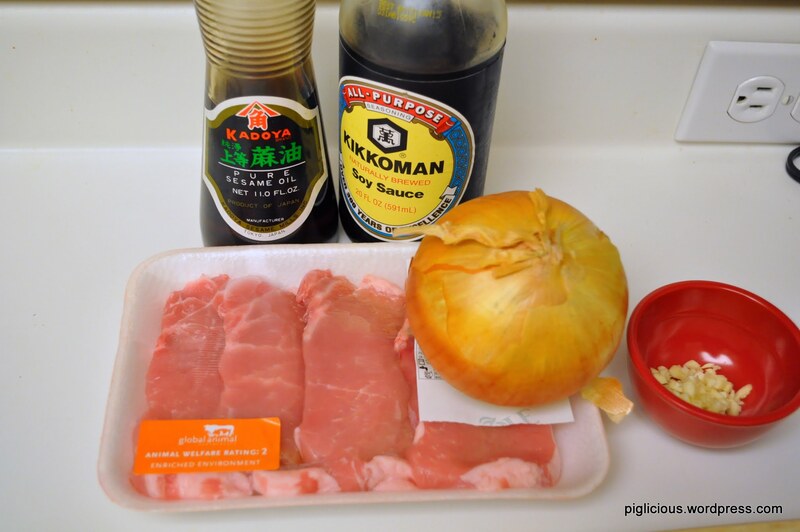 Prepare the marinade–in a medium sized bowl, place the garlic, soy sauce, sesame oil, and rice wine in. Mix. 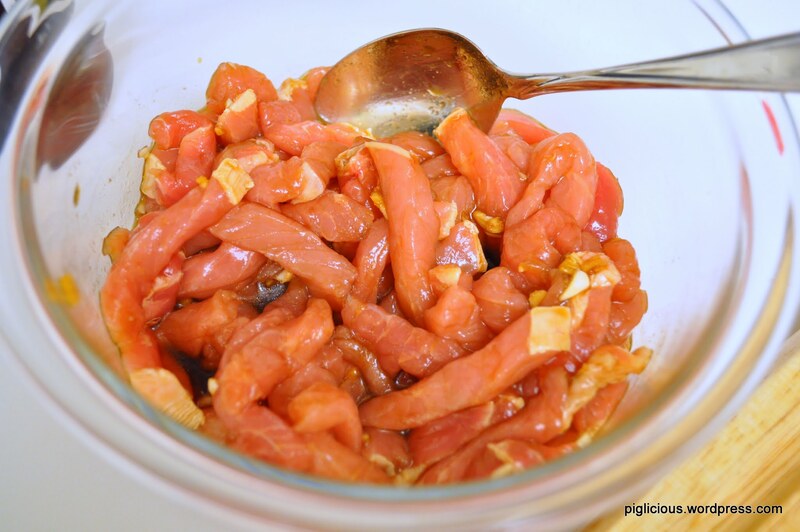 Slice the pork into thin short pieces and place them in the marinade. Mix. Let is sit for about 30 mins for the marinade to seep into the pork. 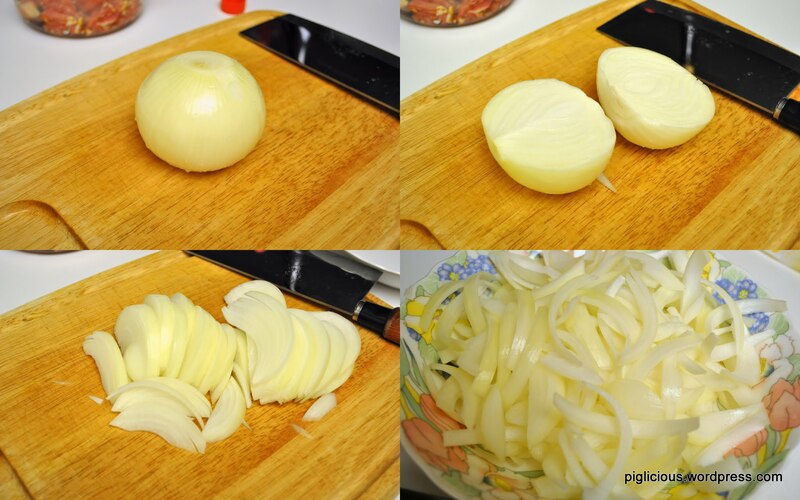 Slice the onion in half at the top of the onion (see picture). Slice longitudinally. 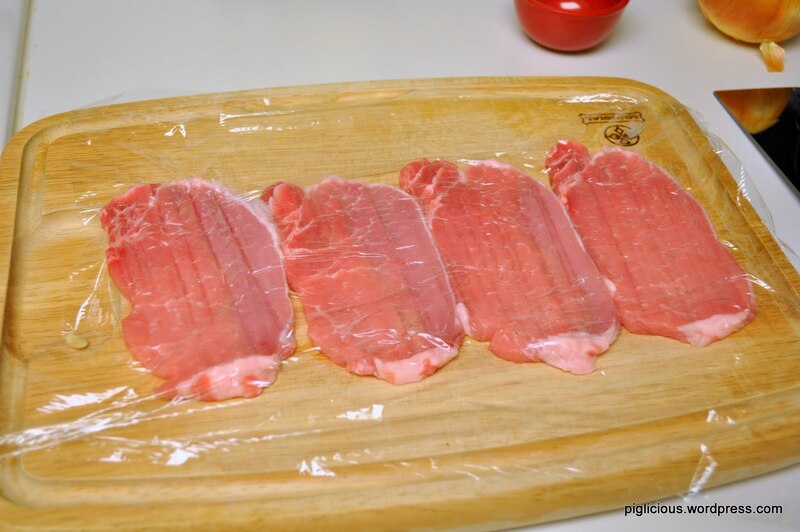 Then separate the slices out. 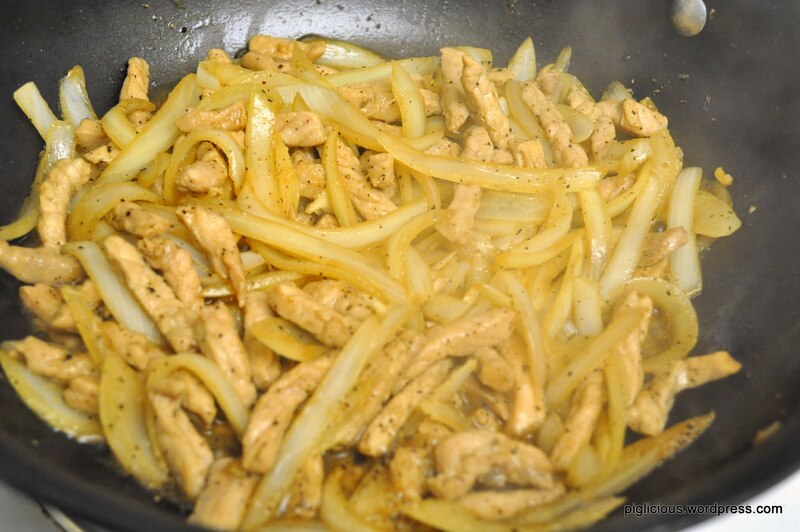 Place the pan on the stove and turn temperature to high. 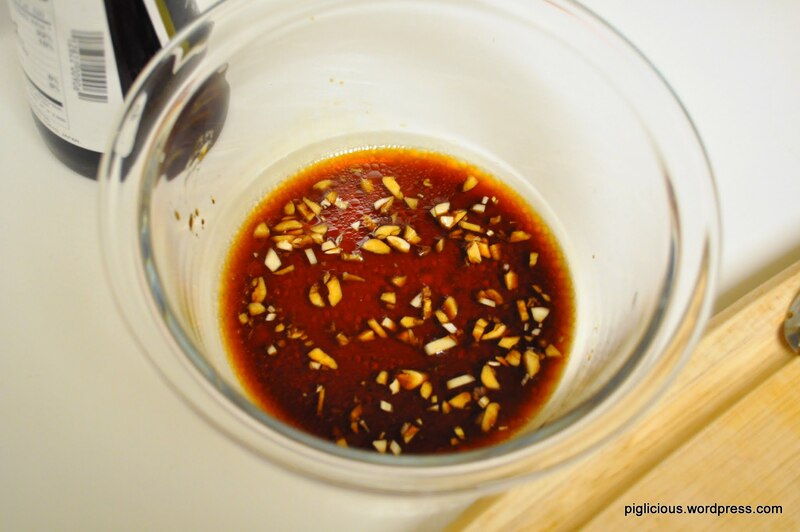 Once the pan is hot, place the oil in (about 1 tablespoon). When the oil is warm, place the pork in. 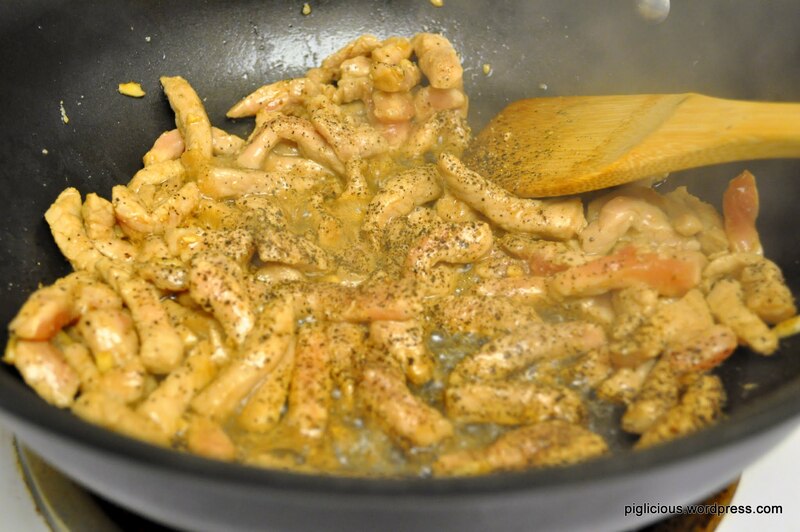 When the pork is about 3/4 cooked, add the black pepper in. I like to put a lot of black pepper. Stir. Add the onions in. Dash a little bit of salt. Mix. 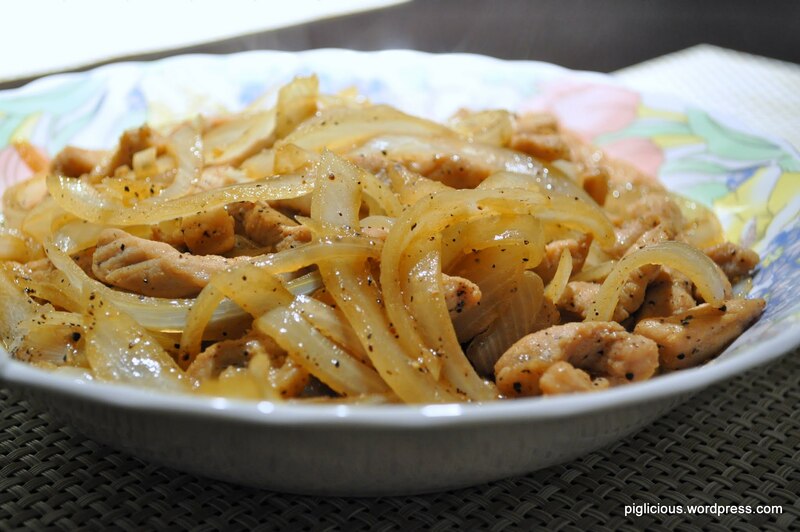 Let the onions cook for about 3-4 mins or until they look withered. Stir a little while to ensure they’re cooked evenly.